Machine Learning is an application of AI whereby machines have access to data and are able to adapt to different business scenarios and problems (learn for themselves) as they arise. This means that business problems can be resolved without the need for expensive programming and machines are able to respond to business changes, such as the introduction of new services, in an optimal way. xocbox uses TensorFlow, a machine learning framework, which provides a wide range of functionality for machine learning applications. TensorFlow is designed for deep neural network models, together with pattern recognition, and these are features used by the xocbox modules described below. 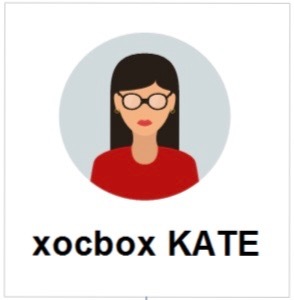 KATE is one of the xocbox machine learning AI modules used to extend the platform’s capabilities in relation to incoming messages via email. Email continues to be the primary means of business communication, and receiving information via email is usually the simplest and most cost effective solution to implement for many businesses. By using natural language processing and pattern recognition, KATE is able to receive emails from multiple sources and transform the content into a format that is usable by inventory, ordering and financial systems. Since KATE uses experience learning rather than expensive programming to implement changes, adding a new vendor, supplier or trading partner is an easy process. KATE can handle many types of email documents, such as purchase orders, inventory, price updates or invoices in plain text with PDF or Excel attachments. Then, using the the xocbox messaging system KATE updates your Ecommerce store or an application such as Quickbooks, so employees no longer have to re- key the email information into the system by hand. KATE can even create fully fledged EDI documents like PO 850s from emails received from your customers. 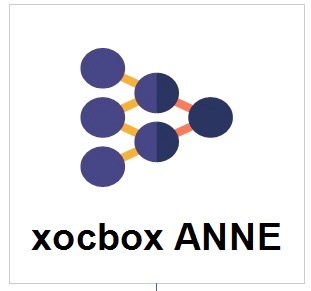 ANNE is the xocbox machine learning AI module responsible for monitoring and problem detection within the xocbox network. ANNE uses deep learning technology to learn about your business via over the network information flow, and helps with notifications about conditions that require action from your employees. These notifications may include items such as order changes, choosing distribution centers, late inventory updates and re-routing. ANNE also assists with new product placement, categorization, colorization and automated image cropping.